There’s a book for every occasion. 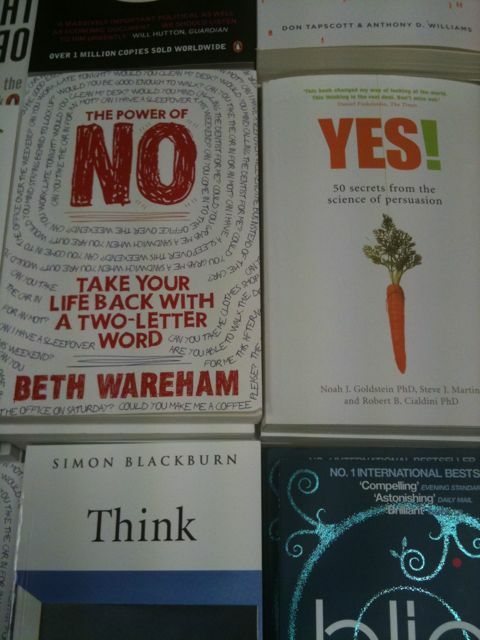 So I liked seeing these two together, one called ‘Yes’, one called ‘The Power of No’ side by side in my local bookshop this morning. I have been listening to Nobel Prize winning economist Joseph Stiglitz and he is pro-cooperative. I have been talking at more events than I have had hot meals – four yesterday, including a public services event at the Office of Public Management alongside Patrick from the John Lewis Partnership. 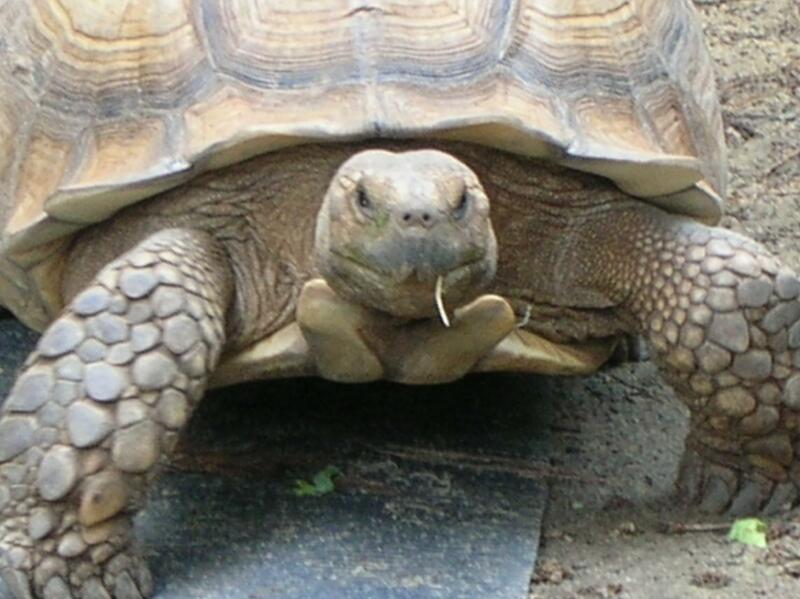 And the tortoises? It is us… co-operative enterprises! Working together, you can do more. A great example is a new fund, Energy Prospects, launched by our member Energy4All – an invitation and an opportunity to invest in low-carbon, cooperative energy. Last week I was learning about the Fens Co-op, which runs local wind turbines after raising £2.66 million from local people. What holds back windfarms, famously, is public opposition and the planning system. A co-operative approach brings the community on board, but the planning system still defeats three out of five proposals, perhaps more.You can’t raise money to do the early work when the odds are stacked against you like that, even if it all pays off if you get permission. The new fund, as I understand it, aims to overcome that by pooling the risk of planning blight, so that those who do succeed can pay for the pre-planning costs of those that who are starting fresh. Still risky, no doubt, but now less of a risk. Nice thinking. The share offer closes on May 26th 2010. I know that everyone and their grandma produces a manifesto around election time for what they want. It is like apples in a windfall. But I do commend a read of the Mutuals Manifesto that we have contributed to and launched this week, along with the Building Societies Association, Employee Ownership Association and Association of Financial Mutuals. It is an uplifting call for any new government, to build a more democratic and sustainable economy. It is a good time to be a co-operative. And our members are in the spotlight like never before. Today, the Guardian dedicates an editorial to the praise of Manchester United Supporters Trust. Through Supporters Direct, our federal member, the network of trusts and the campaign for community ownership of sport is growing and urgent. The last time I was involved in anything that got on the Archers, we had seventy thousand people converge on Birmingham to lobby the G7 leaders to cancel the debts of the poorest countries. Which they did (perhaps I should listen in more often). But you know the media. I wait for the first editorials denouncing co-operative businesses – perhaps only then will we really have arrived! I have mentioned before the interest in co-operative pubs, with our new report out “Calling Time on Pub Closures“. I thought the Star in Salford,our latest member, was Britain’s first urban cooperative pub (and The Old Crown in rural Hesket Newmarket, Cumbria, the very first). That is what I told the Independent which has now done a great feature on the case for cooperative ownership. But in fact, I was wrong. Les Double, who I met in Swindon this weekend, sent me this photo of a much earlier co-operative pub, dating back to the nineteenth century. 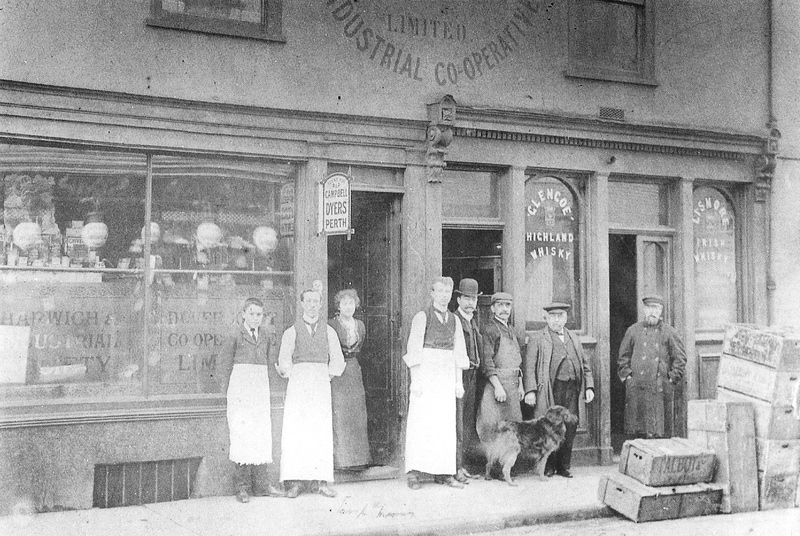 In 1881, the local co-operative society took over The London Tavern Pub in Harwich. This led to a fair amount of democratic debate. Some members were teetotal, but there were enough to enjoy their pint and they could always get the groceries next door too. On February 11th 1922, in what locals called the Harwich Co-op Fire, the pub burnt down. Such was the outcry that the pub was rebuilt as the Wheatsheaf, which thrived before being sold off some decades later. We are campaigning for an emergency service for pubs that are closing to help them into community ownership – along the lines of the work by our federal member, the excellent Plunkett Foundation, to save village stores under threat.